It’s spring, and the Philip Foster Farm is gearing up for an amazing season! Sign up today to volunteer, or become a member. April 10th Annual Meeting, including a presentation on the Willamette Falls Heritage Area from 7pm – 8pm at the Estacada Library. Hear about the exciting new developments at the Farm site with the addition of the Lucy House. 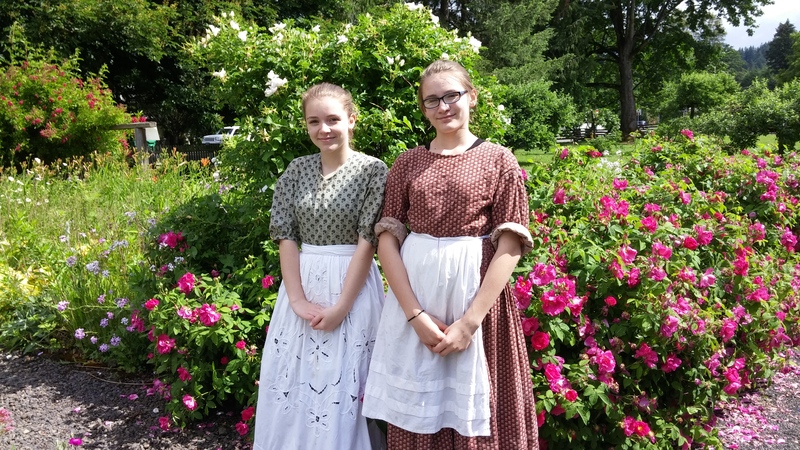 We’ll also be joined by Siobahn Taylor, Executive Director and Alice Norris of the Willamette Falls Heritage Area who have a presentation about the status of the heritage area and our connection to it. May 6th – Farm opens on Saturdays. Come get a whiff of the lilac and look around. May 20th 2:00-5:00 p.m. Lucy House Debut. Fundraising event. Stay tuned for details. June 17th – Opening Day. June 26th – Summer camp begins for ages 7-12. This entry was posted in Events, Home Page, Philip Foster Farm Blog. Bookmark the permalink.